The majority of online searches involve the king of search engines: Google. So how does your service-based business get ranked properly and higher on Google? 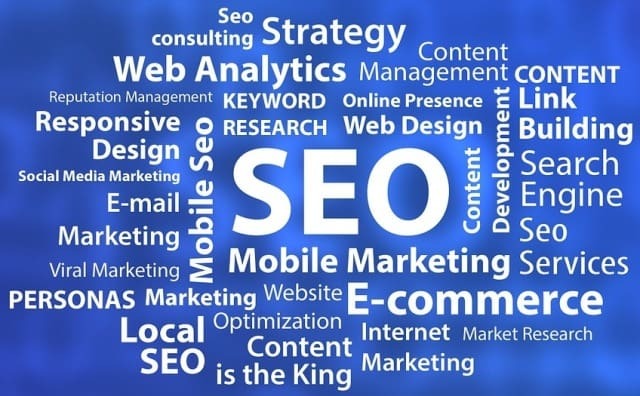 A major search engine optimization (SEO) tactic is to find relevant and targeted keywords that make a connection between what your ideal target market is searching for and the services you provide. With the right keywords and content you can boost business while helping searchers in need. You can’t develop an SEO keyword strategy for your service-based business until you understand who’s coming to your site and what they’re looking for. Head to your Google Analytics account and look at stats like: What keywords people are using to land on your site What pages they’re leaving/staying on Their geographic location Then, you can fine-tune which keywords to target (like adding city names to service-based phrases), see which keywords aren’t showing up in your data, and create content to enhance the user experience. Whether it’s a company who’s been in the business for years and appears in the top-ranking position or a newer service-based business on the scene, you need a picture of the competitive keyword landscape. See who comes up when you Google what your customers are looking for. Find out who else is selling your services in a specific location. Make a note of the type of content they provide potential customers and how well optimized their site is for certain keywords. This helps you understand which keywords they are and aren’t targeting. The more general the keyword, the harder it will be to rank for that search term. Service-based businesses should also be researching and utilizing longtail keywords – those keywords that are ultra-specific to whatever you are selling. While they may bring in less traffic than high ranking, shorter keywords, the traffic they do bring in is very targeted. Maybe you’re a tax accountant who specializes in returns for people who own a second home in another country. Or a home stager who mostly works in three-bedroom ranchers in the east side of the city. Whatever your niche is, let the local world and Google know! Want all of your keyword research to get even better results? You can boost your website ranking significantly on Google by building bigger and better backlinks to your sites. Through guest posting, collaborations, high-quality content, social media and SEO services you can generate a plethora of valuable free backlinks to buoy your keywords and content. SEO is a necessity for any service-based company – whether your company is all online or has a storefront location. Do your research to develop a solid keyword strategy that will help you dominate the local search rankings. You don’t have to do this alone! Why not hire an expert in professional search engine optimization? They’ll do your keyword research and SEO strategy the right way so you can focus on building your business in other ways. Suesan Frisen, founder of the award-winning web development and digital marketing firm eVision Media. She is a Web Specialist, SEO Expert, Business & Marketing Consultant, and Social Media Advisor. She works with entrepreneurs working to improve their social selling, search engine optimization for Google and overall online presence. I hope you enjoyed this article about search engine optimization research tips for service businesses looking to rank higher on Google. Interested in reading more articles about digital marketing & SEO?